Hello friends! 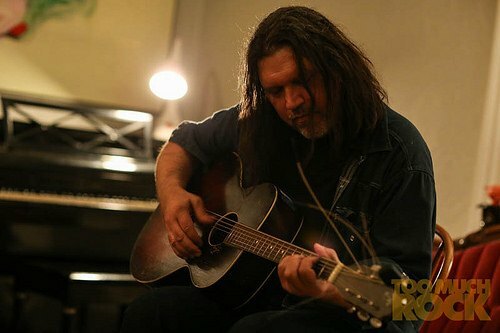 We’re looking for people to host Richard Buckner Living Room Shows in September. These shows are hosted in private spaces. No stage, no sound system. Do you have big living room, loft space, community space, art gallery, yoga studio, recording studio, coffee shop or other space where we can do a private show that can comfortably and safely host 40-60 people? If so, please read everything below and get in touch if you live in or near these towns and want to host. We’d love to have a show at your place! DEADLINE FOR SUBMISSIONS: August 2. We’ll make this as easy as possible for the hosts. All you have to do is let us borrow your living room for about 3 hours and check names off the guest list at the door as people arrive. In return you’ll get 5 additional free tickets for friends and our eternal gratitude. – b. A few photos of the space where the show will happen. – c. Please put “Richard Buckner Living Room Show” and the name of your city in the subject line. 2. Sit tight and we’ll get back to as soon as possible if we can book the show at your house. 1. You have a big living room, loft space, community space, art gallery, yoga studio, recording studio, coffee shop or other space where we can do a private show that can comfortably and safely host 40-60 people. There needs to be street parking, parking garage or public transportation nearby and your neighbors should be cool. It would be a huge bummer if someone called the cops because of all the extra cars and people coming to your place. You probably shouldn’t do this if you live in a tiny apartment with a bunch of uptight neighbors or a cranky landlord. Be realistic on how many people your place can hold. We need to know how many tickets we can sell in advance. Sorry, we can’t do these shows outside. 2. Ticket price will be $20. Everyone must buy tickets in advance. No tickets will be sold at the door. There will be no reselling or third-party tickets sales. All tickets sales are direct to fans from Undertow. Limit 4 tickets per person. These shows sell out quickly and we want everyone to have a fair opportunity to buy tickets.3. We’ll provide the host with a list of everyone coming to the show. The host won’t have to deal with any money and will only need to check people off the list as they arrive. We ask guests to arrive between 7:00-7:45pm. The shows start at 8pm and we ask everyone to be out of your space by 10pm. 8. You don’t need any sort of sound system. All you need is an armless chair for Richard to sit on and some kind of ambient lighting like a lamp on coffee table, floor lamp, or overhead lights with a dimmer to help create a cozy mood. FYI: email submissions go to Bob and Jayne at Undertow.